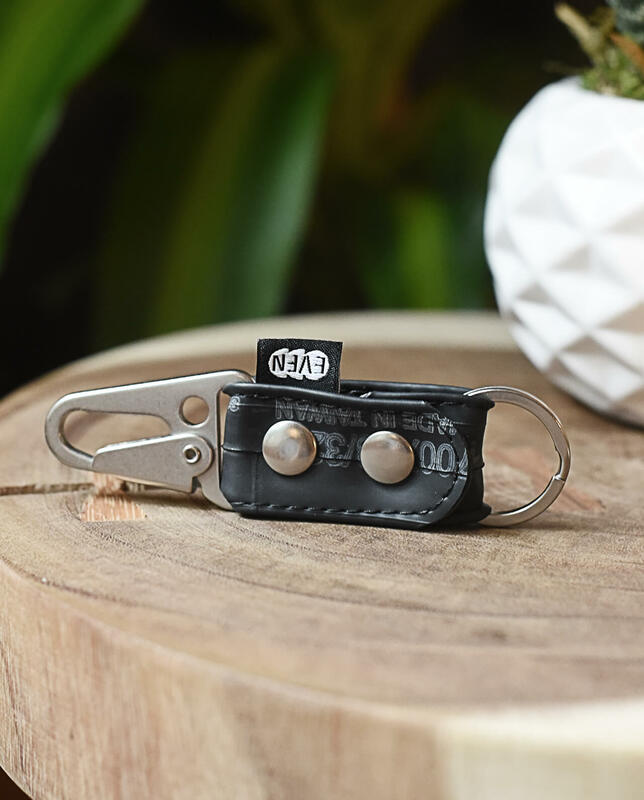 Our key chains are made from a single piece of upcycled bike inner tube and matte nickel plated solid iron hardware. Each piece is handmade in the USA. This product is made to order. Please allow 1 business day lead time. 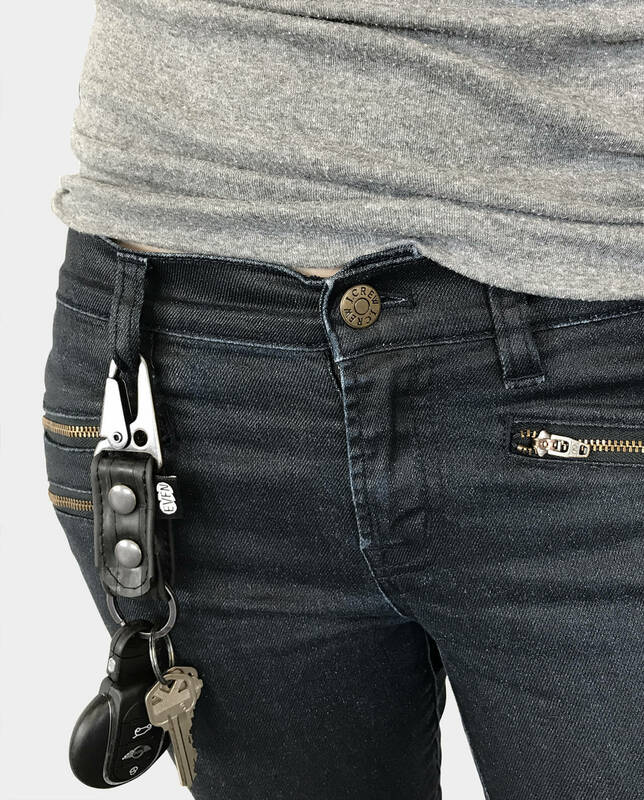 Our 2nd generation key chain is much improved. 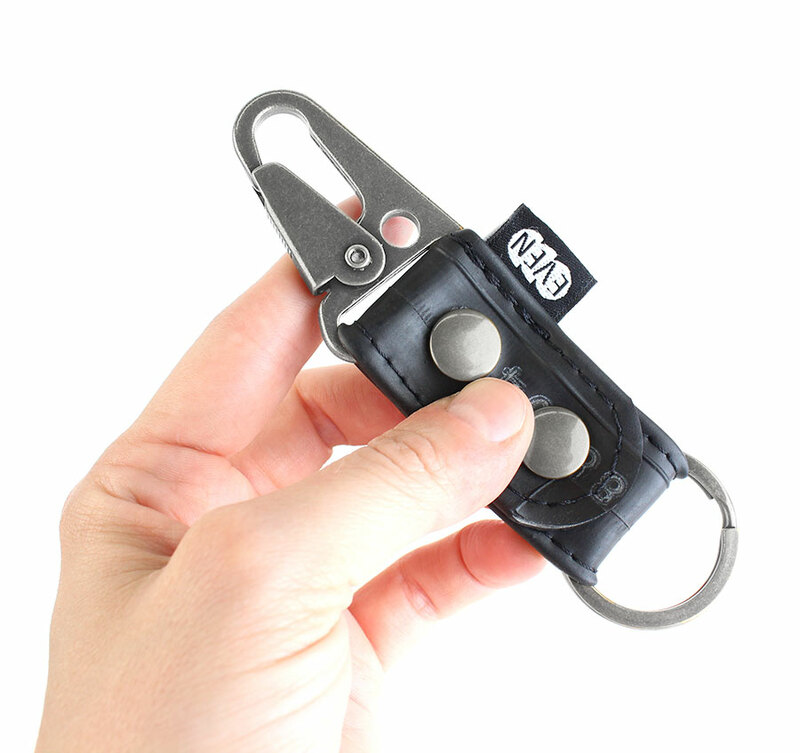 We chose the most sturdy clip and split key ring we could get our hands on. 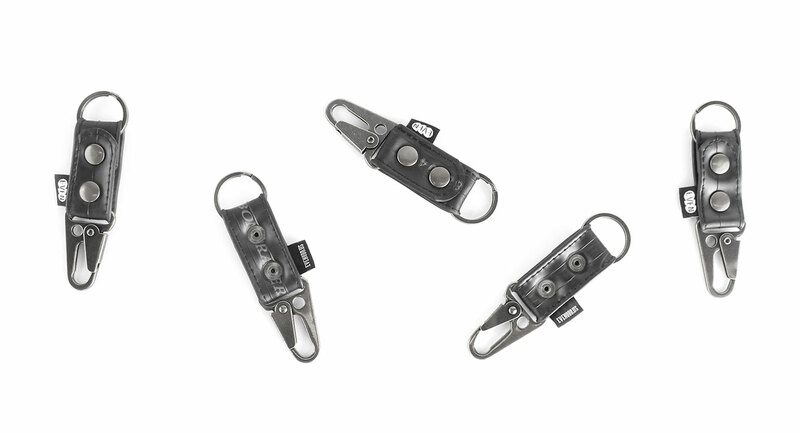 Not only is the solid iron hardware tough, it’s pretty handsome too. All the metal features a sealed matte nickel plating. Each chain is handmade in the USA from a single piece of reclaimed bike inner tube. 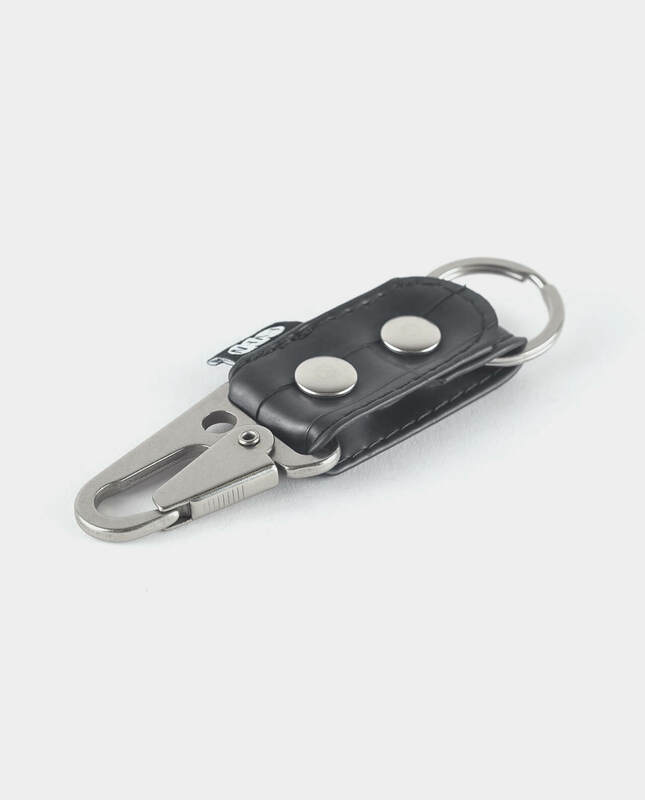 Key Chains will vary slightly because each is made from different bike inner tubes. No two will be alike. Each inner tube is hand cut and then washed thoroughly with an eco-friendly detergent. Inner tubes may have worn or faded white brand markings and dimentional text on certain areas.